The mobile app development environment is shifting from selling technology products to delivering irresistible and spellbinding experiences. And AI solutions in the assortment with the mobile application is becoming an indispensable part of the mobile app development world, paving the way for such enthralling experiences. 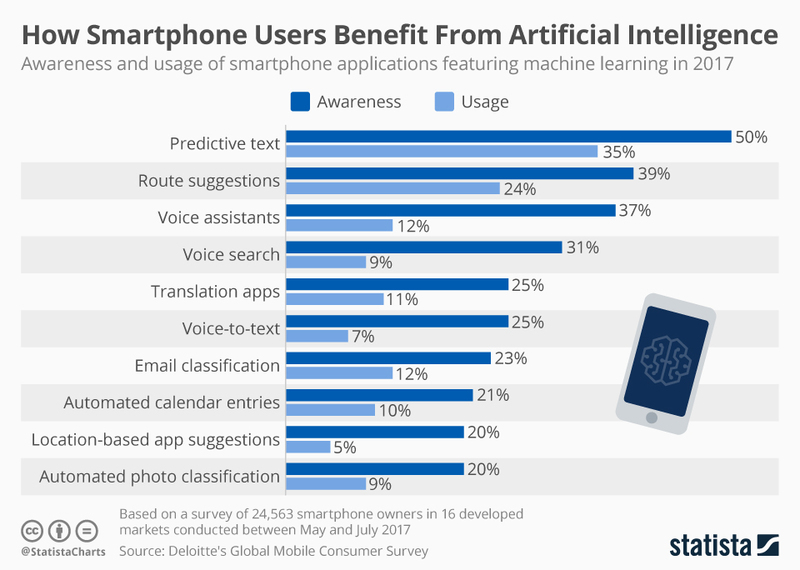 A study led by Gartner predicts that 80 percent of smartphones shipped will have on-device AI capabilities by the year 2022, up from 10 percent in 2007. It is palpable from this fact that AI has shown its worth by penetrating deep into the iOS app development and android app development industry. So far, there have been some power-packed AI-instilled mobile app releases embracing both the Android as well as the iOS smartphone segment. This article throws some light upon how AI has astonished the Android and iOS devices. Let us all get acquainted with some of the best AI apps for Android and iOS. Google is confronting Alexa, Siri, and Cortana with its own robust voice assistant: Google Assistant. And since its launch in 2016, it has made incredible progress, thereby emerging as the most dynamic of the assistants available out there. 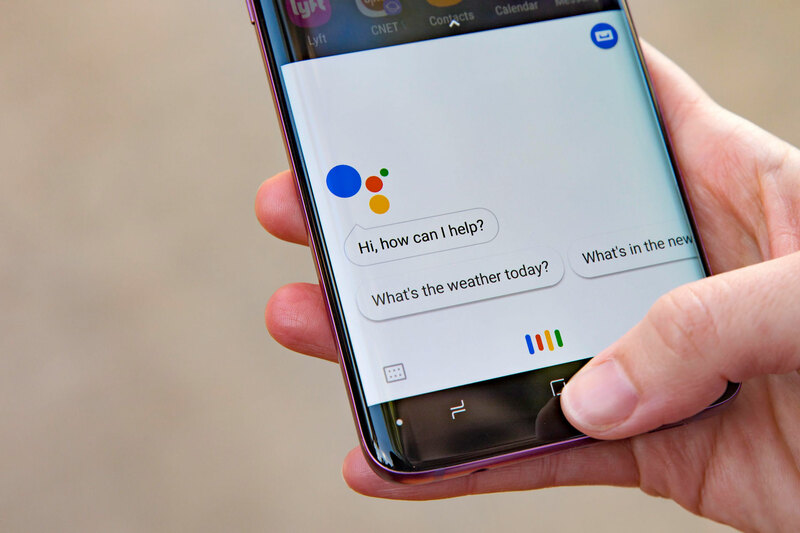 The Google Assistant is a souped-up version of the retired Google Now, transforming itself into a real AI revelation. Be the king and get a solution to all your queries through your very own smart assistant powered by voice control. Activate this app on your phone through a simple tap on the home button or by saying “OK Google”. Send texts, listen to music, set reminders and appointments, make calls without pressing a single button. Your voice is the most powerful weapon for this app. Open any app or schedule your favorite Netflix movie with just one app. She is familiar with which New York sushi spot to recommend for a lunch meeting, never makes a spelling mistake, and is quick with follow-ups- Clara is an efficient power-packed AI app that communicates exclusively in the natural language via email. It helps in scheduling, managing conformations, as well as provide follow-ups with potential clients. 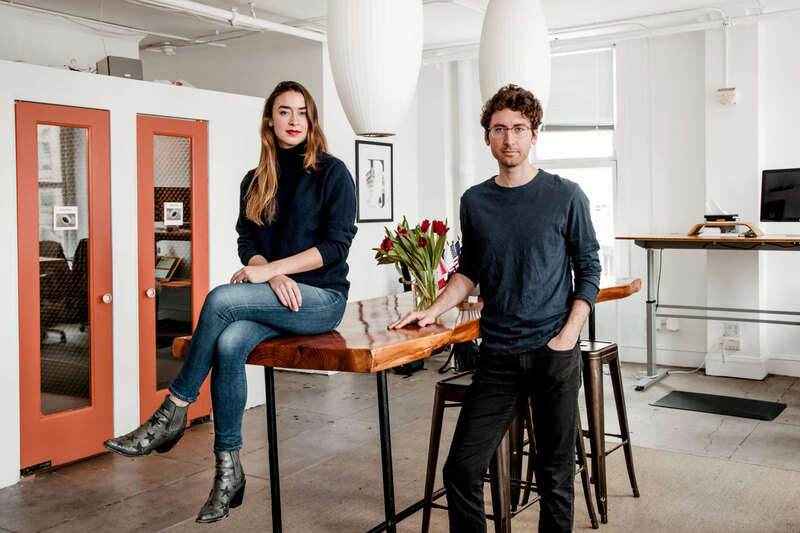 Maran Nelson and Michael Akilian, founders of Clara Labs, in their San Francisco office. This great and dynamic business utility app sets a stage for you to even reserve a conference room whenever required. Give her complete access to your online calendars and she will schedule appointments depending on the availability of your time. Clara takes cares of all the tedious interactions that may ruin a workday. Download the app on both iOS and Android-powered devices that have made a formidable stride in the business world. AI, in collaboration with cutting-edge computer vision technologies, has paved the way for a unique app that provides you with a correct and explanatory answer to all your homework questions. With fulcrum of machine learning, the app ‘Socratic’ is built using a plethora of sample homework questions to precisely predict the concepts that will help you solve your question. Simply go ahead with taking a snap of your word problem, give the app a few nanoseconds to analyze the problem, and it will return to you with ‘explainers’ and videos to give you a step-by-step help. The app not just offers you solutions to your math problems, it also helps you with problems related to Biology, Chemistry, English Grammar, History, Economics, and more. What first comes to your mind when you think of artificial intelligence platforms? Most probably Alexa, Siri, or Google Assistant. However, if you really ponder over this question for a while, you will realize that these platforms have limited features. For instance, these platforms can never assist you in managing your finances – a real need for Americans. You will be startled with a fact that about 76% of Americans live from paycheck to paycheck and 61% of Americans don’t have any sort of savings. To cater to the need of such people, an AI-packed mobile app has taken birth that can help you to budget your finances and save money – Olivia. She can be your financial assistant in form of a personal financial app that can help you by sharing personalized insights about your finances. Talking to her is like talking to another person, not a computer. Are you in the need of an incessant loop of computer-generated music to help you work, read, relax, or sleep? Then brain.fm is an ideal mobile app generated by an AI, designed for your brain, claiming to improve focus, meditation, relaxation, naps, and sleep within 15 minutes of its use. Brain.fm is a unique music player that inculcates a myriad of audio tracks selectively created by robust AI tools. The app took birth after the perfect amalgamation of science, neuroscience, and cognitive research. Just download the app, sign up for free in seconds, fill out your email address, and answer a couple of questions about who you are. Then choose the state of your mind that you would prefer: focus, relaxation, or sleep. Created by bots, the music will automatically start with variations. ELSA stands for English Language Speech Assistant, a first and the world’s smartest AI pronunciation tutor mobile app that employs AI to help people adopt a Midwestern accent and improve their pronunciation. So, if you are looking to getting expertise in your a’s and o’s, then your smartphone with ELSA app is your best buddy. Based on the interests, a user can opt for different curriculum options: professional or travel. Once the users opt for interest, the app leads them through a series of vocabulary words and phrases to analyze their speech. ELSA detects any sort of mispronunciation and corrects the user’s pronunciation. It also teaches the user how to move the tongue and lips to come up with perfect pronunciation of the word. Vu Van and Xavier Anguera gave birth to this unique app. And Vu Van herself dealt with pronunciation issues while she was pursuing her studies at Stanford. The present-day world demands everyone to work smarter, rather than hard. And artificial intelligence stands robustly on this parameter. It is a smart and efficient way to save valuable time and be productive at the same time. Many mobile app development companies are taking a hint about how users want to dig benefits from Artificial Intelligence and coming up with AI-packed mobile apps to fascinate their experience. With the usage of mobile apps listed above, you can explore the real power of artificial intelligence without breaking the sweat. In a nutshell, the future of artificial intelligence in the mobile application world seems optimistic. Being one of the ingenious technologies, it is expected to create some dramatic changes by penetrating deeper in this mobile world.